From clipping to clicking, the evolution of couponing has seen its share of phases. From the arduous process of cutting and collecting coupons from magazines, newspapers and cereal boxes, to printing coupons with barcodes that can be scanned in stores, we’re now at the stage of using digital coupons that are applied just by entering a short code at checkout. The couponing process has never been so easy and accessible, which explains the steady rise in popularity of digital couponing over the last decade. Currently, the key to success in the couponing industry (of which I’m part) is connecting with consumers so seamlessly that during their ‘Zero Moment of Truth’ (when decisions are made before making an online purchase), we’re able to deliver exactly what they want. However, recent technological developments may turn this process on its head, instead providing consumers with coupon codes before they even know they want them. Soon enough, it might not be a case of you finding coupons, but rather coupons finding you. 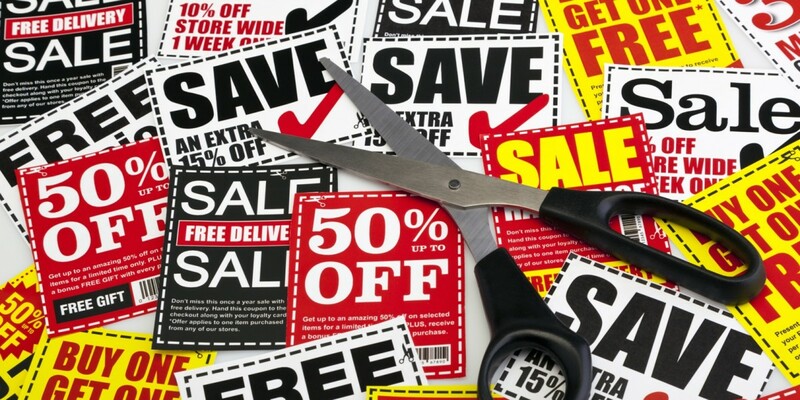 But with so many possibilities on the horizon, what will the future of couponing look like? And is it moving in the right direction? Beacons have been around for a while, but adoption rates in stores have been surprisingly slow. This is mostly due to the fact the technology still isn’t seamless, there are security issues due to operating via Bluetooth, and there’s also just too much effort demanded of the customer (Bluetooth must be switched on, and you’re required to have the corresponding app downloaded particular to that beacon in order to receive offers). There are a few companies working on developing platforms that can be used by coupon services to deliver codes directly to customers as they enter a store without necessitating multiple app downloads. However, the problem with this is that when you start throwing coupon alerts at consumers who have never asked for them in the first place, you’re entering spammy territory. True – you might get a few happy customers out of this, but chances are you’ll end up with a whole lot more angry customers who feel this tactic is invasive, which could really damage your brand in the long run. What’s interesting about the potential future of couponing with beacons is that, contra to the argument that online couponing contributes to the demise of physical stores, coupons offered via beacons can encourage foot traffic into stores. As coupon providers become more involved in this sort of process, there might be a time in the future when online couponing will be keeping physical stores in business, rather than cutting them out. Wearables such as Apple Watch are turning individuals into data platforms. The whole process of personalisation – of ensuring you get the right coupon to the right customer at the right time – will soon be done for us thanks to technology like this. For example, you go for a run, which increases your heart rate and your temperature is high. Your wearable picks this up: “Woah that was an impressive run! You burnt 600 calories! How about a 200 calorie muffin to celebrate? Here’s a coupon for 50 percent off – your nearest Starbucks is 2 streets away!”. Sound far fetched? These sorts of scenarios are already feasible, it’s just a matter of consumer and brand onboarding. This might seem not too dissimilar to the invasive strategy of beacons, but there’s a fundamental difference between the two technologies that makes the concept of couponing with wearables way more exciting. Unlike beacons, wearables are able to take personalisation to a whole new level, using acquired personal data to ensure that you’re only presented with information that suits your tastes and habits. This means you’ll only be presented with coupon codes that your wearable knows you’ll be interested in, reducing the potential pains of spam. It’s worth mentioning, however, that the whole process of teaching your wearable to understand your tastes and habits is a long and arduous process in itself. Couponing pop-ups (you either love them or hate them) are already being utilised by brands to reduce cart abandonment rates, with shoppers automatically receiving a pop-up coupon (if, say, the site detects a sudden movement of the cursor towards that dreaded close window button) to convince them to complete their final steps at checkout. At the moment, it’s only brands themselves that indulge in this, but it won’t be long before some couponing companies offer this service. Perhaps this will materialize as a browser extension that monitors each and every site you visit, searching for opportunities to offer you discount codes on some item or another (you’re checking out the best mojito recipe online in preparation for a weekend BBQ, and a coupon for 10 percent off white rum at your local supermarket pops up on your screen). For couponing sites, the aim would be to have a collection of coupon pop-ups like this that are triggered by certain sites and algorithms. This way, there are savings to be made at almost every site you visit, and involves minimum effort – but again, the line between offering something useful and spamming your users here is extremely thin. Although there are some interesting developments on the horizon for couponing, it’s undeniable that a lot of what’s being proposed for the future seems to involve more invasive methods that deny shoppers that element of choice – which I think is crucial. At the moment, as an industry we’re already doing incredibly well at converting traffic during that all-important Zero Moment of Truth – ensuring that when a customer searches for a code to use at checkout, you can deliver. Hacking and playing with the boundaries of technology is crucial for keeping companies fresh, but it’s important that we don’t forget the present: the Zero Moment of Truth is still at the core of what we do. If there’s one thing I’ve learned during my decade in the industry, it’s that technological fads such as those mentioned in this article don’t always gain traction as quickly as you would think. As such, we shouldn’t confuse the potential of what we can do for our customers with the essentials of what we should do – which is listen to them. It’s not a matter of pushing fads onto shoppers by developing new couponing technologies that may or may not take off. It’s about ensuring that your business knows its customers so well that you’re ready to give them what they want, when they want it.